Ibrox Noise: "Embarrassing" - who didn't stand out so well against Villarreal for Rangers? 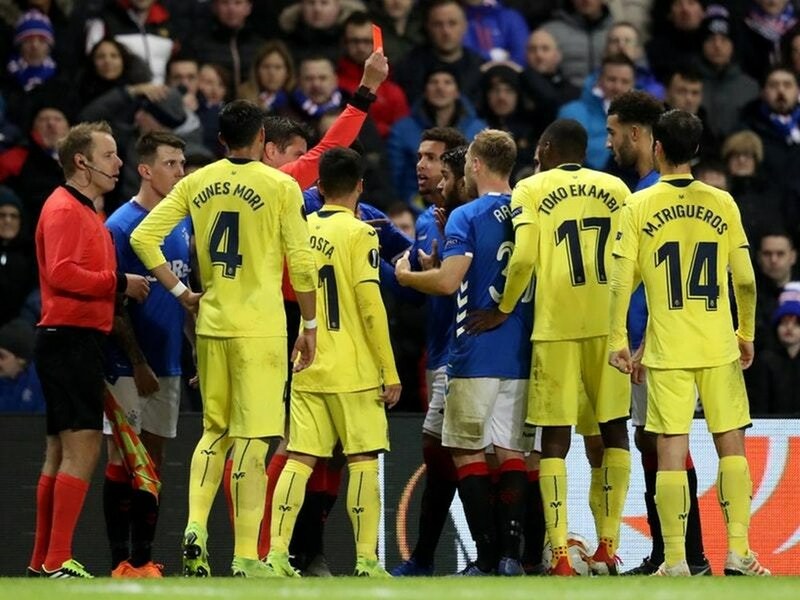 "Embarrassing" - who didn't stand out so well against Villarreal for Rangers? After another impressive European night for Rangers, Steven Gerrard’s men are still very much in contention for a stunning place in the last 32. You're entitled to your opinion BL, but if you think every player was exceptional, then we respectfully disagree. Only Gerard know why he picks Flanagan, could have cost a goal in the first half with a pass across the 18 yard line,just does not look comfortable in that role,as for middleton felt sorry for the boy last night but the Spaniards done their home work and closed down the flanks and he could not get passed,why he left mcauley out is also a mystery ,goldson looks shakey,still decent result I certainly couldn't see us hanging on for 45 mins,but there's always mcgreggor thank fk. Ok BB, which defensive ratings do you disagree with? I'm sick to death telling fellow bears on here Flanagan is a very good friend of Stevie G hence why he is picked no other reason so get it. As to the sending off let's get right into eufa on this. We did it with the sfa so why not them because we are the famous Glasgow Rangers no surrender. A fair assessment I think, Middleton just should never had started, def sub. Alan McGregor, legend! That said, a draw was a fantastic result under the circumstances and I applauded every player at the final whistle for hanging in there, keeps us in the running. Technically they were streets ahead of us but this was a cracking result in the circumstances and thoroughly deserved. To be fair to the lads at the back, Tav and Worrall spent a lot of time covering and checking the other two. Candy wouldn’t put the shirt on again after January - seems to fall apart against better teams and his attitude stinks. And I think this dawned on him as he got the second card. A bit harsh on the defence. We kept a clean sheet, with 10 men, against a pretty decent Spanish side. Perhaps individually the performances could have been better but collectively the defence were superb. If one of them made a mistake a team mate was close by to help out. I have sympathy for JF. Obviously playing out of position so he is going to make mistakes and look uncomfortable. The problem is opposition teams are starting to target him (and Halliday) now because it is our known weak spot. I have respect for the effort both of them put in when being asked to play there. A player playing out of position is okay every once in a while, however this has gone on all season. Unfortunately the obvious replacement isnt playing for club political reasons. Rest of the player ratings, spot on! A bit torn here. On the face of it I agree entirely with your assessment of every player but on the other hand you've got to give massive credit to all 10 players for a great result. However, I think we need to get Barasic back as soon as possible as Flanagan is causing all sorts of problems. Not only is he uncomfortable on that side but his positional play is really poor. Instead of pushing forward when he gets the ball his first instinct is to turn onto his right foot and play the ball back to a centre back slowing down any potential attack. All game I imagined Wallace getting the ball and being immediately 20-30 yards further up the pitch. I know Flanagan is a right back but it also worries me that much of his bad passing comes when he turns onto his right foot.